1. 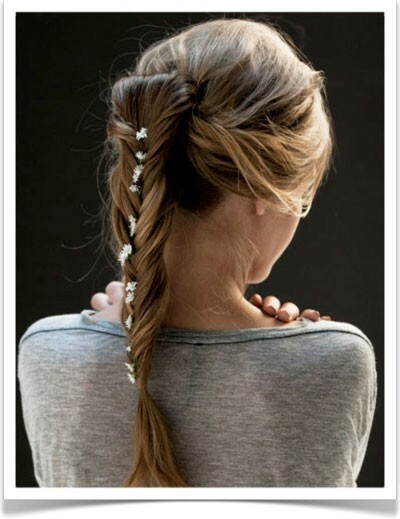 Brush hair and divide into two even sections. 2. Grab a small piece of hair from the back of the right side and add it to the left side. 3. Repeat the exact same step on the left side, and continue weaving until the end. 4. 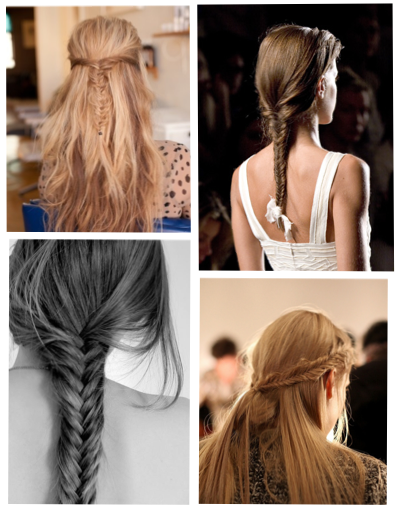 Secure with a band or pin, and gently loosen up the entire braid for a more effortless and messy look. See how easy it actually is? Thanks to Pinterest users for the images.